Do you or your property managers spend a significant amount of time handling packages? If so, you’re not alone. According to a study from the National Multifamily Housing Council (NMHC), 68% of property managers spend 1 to 4 hours a week on package management. Multifamily properties now handle an average of 149 packages per week, and that number jumps to over 180 during the holiday season. Online shopping has made package management a serious challenge for property managers, and many communities are turning to technology for answers. One such solution is Luxer One, a smart package management company. Luxer One has become the most popular brand of smart lockers in the multifamily industry, with 27% market share. But is it the right package management solution for you? That’s what we hope to help you decide. How does Luxer One work? As part of our Smart Spotlight Series, we help you make better technology choices for your community. Is Luxer One the perfect fit for you? Let’s find out. 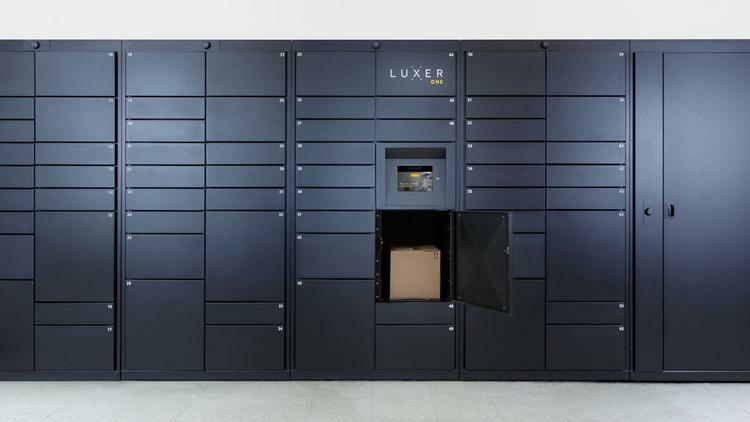 Luxer One automates package management with smart, self-service package lockers. Package couriers enter their unique code on the locker’s touch screen, select the resident they’re delivering to, and take a picture of the shipping label. Then they place the package inside a secure locker. The resident receives an email and/or a text message when a package has been delivered and is assigned a one-time access code. They can retrieve their package at any time by entering the access code and signing on the touch screen. Most communities with smart lockers will have 24/7 package access to the lockers for the residents’ convenience. Luxer One has several different unit configurations, with lockers ranging in size from small to oversized. However, all the units are the same size. The company also has outdoor units and a fridge unit for grocery deliveries. Luxer One has several different units, including indoor and outdoor models. Each locker system starts with the Main Unit (far left) which includes the touchpad. All units (besides the Luxer Fridge) can be also configured for weather-safe outdoor use. Properties can mix and match units to fit their needs, and even customize the color and design with wraps or custom branding. The company also offers Luxer Room, an access control system that turns any room into an automated, secure package room. Luxer One comes with a significant upfront cost, plus a monthly fee for technology, video surveillance, and support. Luxer One lockers can cost between $6,000-$20,000 for the equipment and installation, depending on the configuration you choose. Luxer Room, on the other hand, is designed to be a lower-cost option and comes with much less hardware to install. Most developers and property managers want to see a return on their technology investment. While smart lockers can improve staff efficiency and the resident experience, some properties choose to charge residents by either assessing a one-time fee or building the cost into the rent. Charging residents is optional and is up to the discretion of the property. 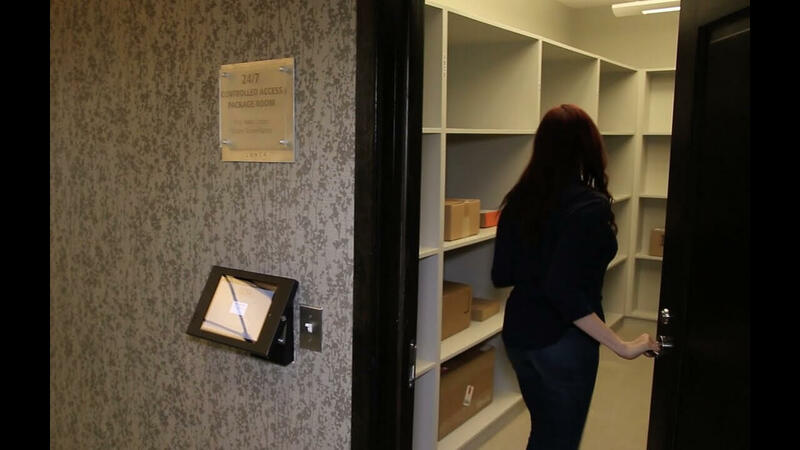 The upfront cost of a smart locker system can be steep for some communities. Even with the improvements to staff efficiency and resident experience, some property managers worry they won’t see an ROI. This is one reason why Luxer One created the lower-cost Luxer Room service. The company offers financing and leasing options to help reduce the upfront cost. While not required, many properties choose to pass on the cost of package management to residents as an amenity upgrade. This can cause some residents to feel blindsided and angry if the rollout isn’t handled well. Most of the time, property managers can mitigate concerns through clear communication. Charges are usually assessed as either a one-time fee or is built into the rent. Another common practice is to charge a late fee for packages not picked up after a certain number of days. After a designated number of days, properties can return packages to the sender. Luxer One systems can also process outbound shipments. 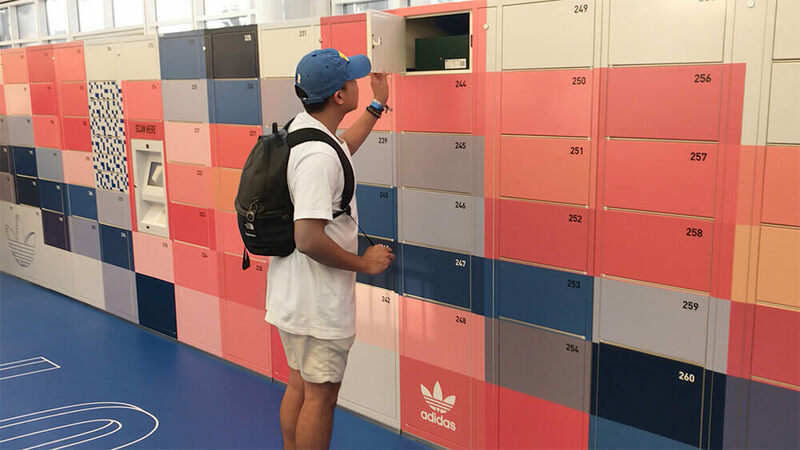 Properties can charge a small convenience fee so their residents can experience the perk of shipping packages straight from the lockers, which is particularly useful for online shopping returns. Property managers create buy-in by clearly explaining the benefits to residents (package security, 24/7 access, convenient features) and why the community is charging them for the service. They should also remind residents that the service is optional, and residents can instead have packages dropped off at their door (if possible) or delivered elsewhere. 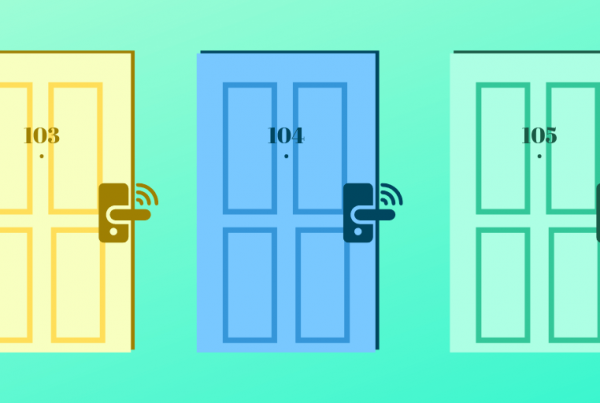 Having enough room for a smart locker system is a concern for many multifamily properties. When NMHC asked property managers why they didn’t use package lockers, 47% cited either size or space limitations. Luxer One locker units are over six feet tall and three feet wide, and many properties need multiple units. Before investing in smart lockers, property managers should be sure they have the space for them. Luxer One representatives can visit a property and advise on ideal placement and configuration if space is a concern. If not, they should consider the Luxer Room option instead. Despite many security measures, any automated package handling system carries the risk of theft and lost packages. Some residents have reported missing packages, mostly due to carrier misdelivery. Theft is a higher possibility with the Luxer Room since it is a shared amenity. However, every Luxer One and Luxer Room system comes with 24/7 video surveillance from a camera mounted on the opposite wall, monitoring the full locker or room area. The company’s 24/7 customer support department is able to view access logs and video surveillance footage to identify package status and find out exactly where a package ended up. Despite the occasional missing package or theft, smart locker systems are much more secure than dropping off packages outside a resident’s door. 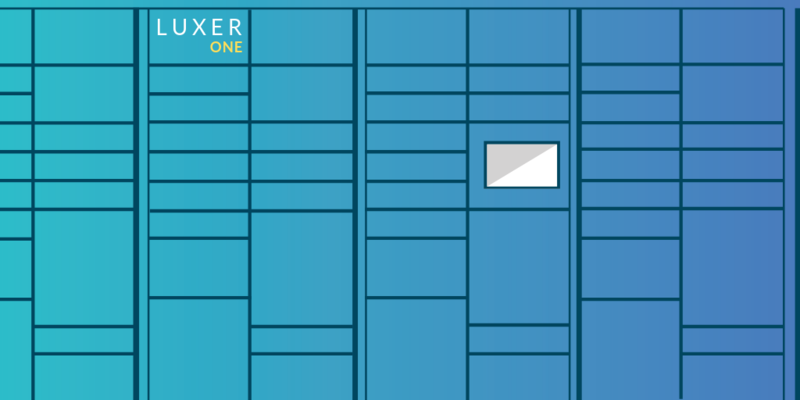 Founded in 2005, Luxer One was one of the first smart package locker systems on the market. They got their start with 24/7 dry cleaning lockers, and quickly evolved into package management for multifamily, office, retail, and university properties. In 2018, Luxer One was acquired by ASSA ABLOY, one of the largest lock manufacturers in the world. 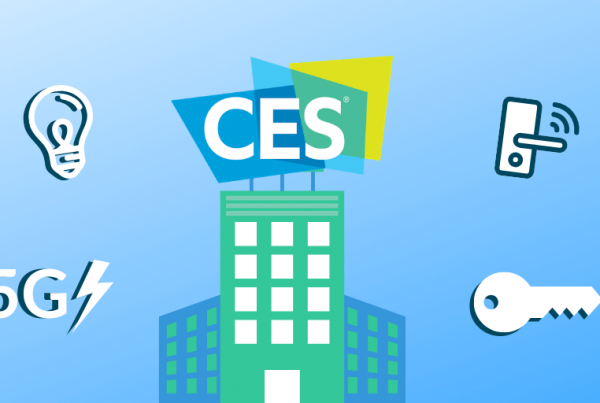 They are now part of a portfolio that includes Yale locks and August Home smart locks, which is sure to speed up their innovation in the multifamily space. Amazon Hub is one of the newest package management solutions, but few would call it an underdog. Amazon has become such a dominant force in e-commerce that it’s only natural they built their own smart locker. 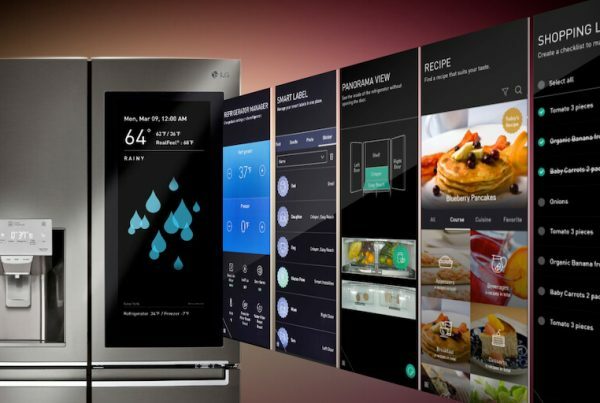 Hub has a clean user interface, but fewer locker unit configurations and no fridge locker for groceries. One advantage to Hub is that they only charge an upfront cost—no monthly fees like Luxer One. Parcel Pending is another smart locker leader and was recently acquired as well. They were purchased by Neopost, a French mail solutions conglomerate, for a reported $100 million. Like Luxer One, Parcel Pending offers several locker configurations, including indoor, outdoor, and refrigerated units. Unique to Parcel Pending is their mobile app that notifies residents when their packages arrive. The app allows residents to open the locker with Bluetooth or by scanning a barcode. However, Parcel Pending does not have an access control product like Luxer Room. Is Luxer One Right For You? With hundreds of packages a week, property managers need a system that automates the delivery and dropoff process. Luxer One does just that. Residents love smart lockers because they provide secure, 24/7 access to their packages. Property managers love it because they can spend more time on the things that matter, like building a better community. There are many smart package locker options on the market today. No matter which system you choose, the deluge of packages isn’t going to stop. Solutions like Luxer One are an excellent way to handle packages and provide an elevated experience for residents.